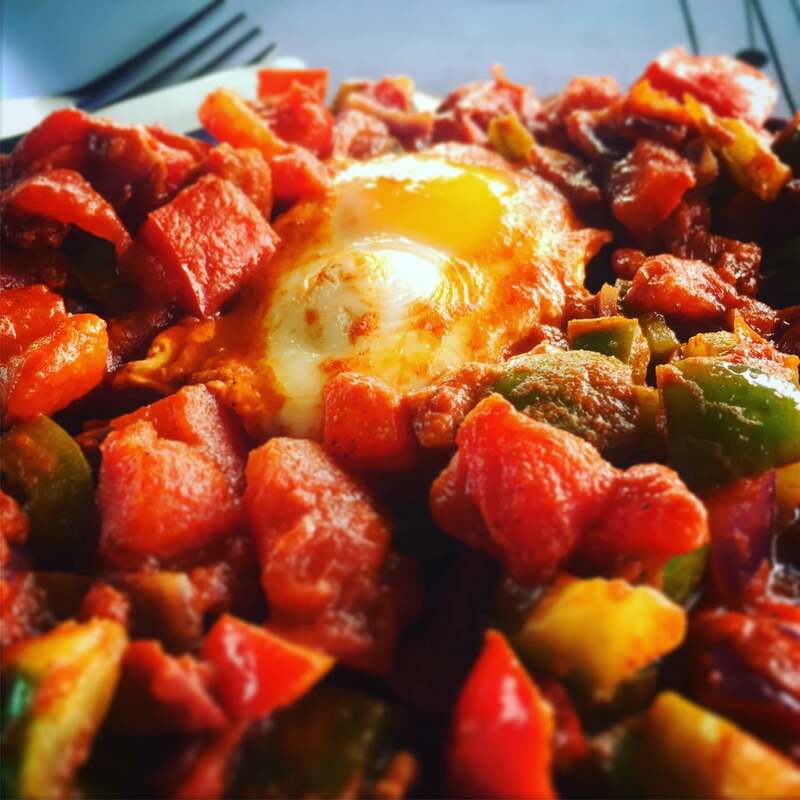 A favourite breakfast recipe of ours, this campervan Shakshuka is our based upon the African dish can also be a good brunch. The salsa style sauce can also be saved and used for other meals later in the day making it an easy yet tasty van recipe. The recipe is a tomato based sauce, with peppers and eggs poached in the sauce. Sprinkle a little feta cheese (or cheddar works well too) on top and enjoy. Vegan’s or those who don’t eat dairy or eggs can simply leave out the eggs and cheese and enjoy with a protein of their choice, it still tastes fantastic. Feta cheese or if you prefer cheddar. Fry the onions and garlic until the onion is nicely browned. Add the chilli flakes, cumin and cayenne pepper, allow the spices to warm for about 10-15 seconds. Pour the tomatoes into the pan after a few seconds. Allow the tomato to boil down (no lid on the pan) until it has a thicker consistency like a stew. Make indents in the tomato sauce and crack eggs into each of them. Allow the eggs to poach in the sauce until cooked. Sprinkle with feta (or cheddar works nicely too).